Orion (Ancient Greek: Ὠρίων or Ὠαρίων, Latin: Orion) was a giant huntsman in Greek mythology whom Zeus placed among the stars as the constellation of Orion. The Babylonian star catalogues of the Late Bronze Age name Orion MULSIPA.ZI.AN.NA, "The Heavenly Shepherd" or "True Shepherd of Anu" - Anu being the chief god of the heavenly realms..In ancient Egypt, the stars of Orion were regarded as a god, called Sah.. Because Orion rises before Sirius, the star whose heliacal rising was the basis for the Solar Egyptian calendar, Sah was closely linked with Sopdet, the goddess who personified Sirius..In China, Orion was one of the 28 lunar mansions Sieu (Xiu) （宿）. It is known as Shen （參）, literally meaning "three", for the stars of Orion's Belt.. The same three stars are known in Spain and most of Latin America as "Las tres Marías" (Spanish for "The 3 Marys"). In Puerto Rico, the three stars are known as the "Los Tres Reyes Magos" (Spanish for The 3 Wise Men)..The Pyramids Giza – were built to mirror the pattern of the stars in the constellation..
1 - The Wylfa Nuclear Power Station (Welsh: Atomfa'r Wylfa) is situated just west of Cemaes Bay on the island of Anglesey, North Wales. Its location on the coast provides a cooling source for its operation..It was the second nuclear power station to be built in Wales, after Trawsfynydd. Following the closure of Trawsfynydd in 1991, Wylfa is the only nuclear power station in Wales. 3 - Hartlepool is a town on the North Sea coast of North East England, 7.5 miles (12 km) north of Middlesbrough and 17 miles (27 km) south of Sunderland..The place name derives from Old English *heort-ieg "hart island", referring to stags seen, and pol, "pool"..Hartlepool nuclear power station is an advanced gas-cooled reactor (AGR) type nuclear power plant opened near Hartlepool in the 1980s. 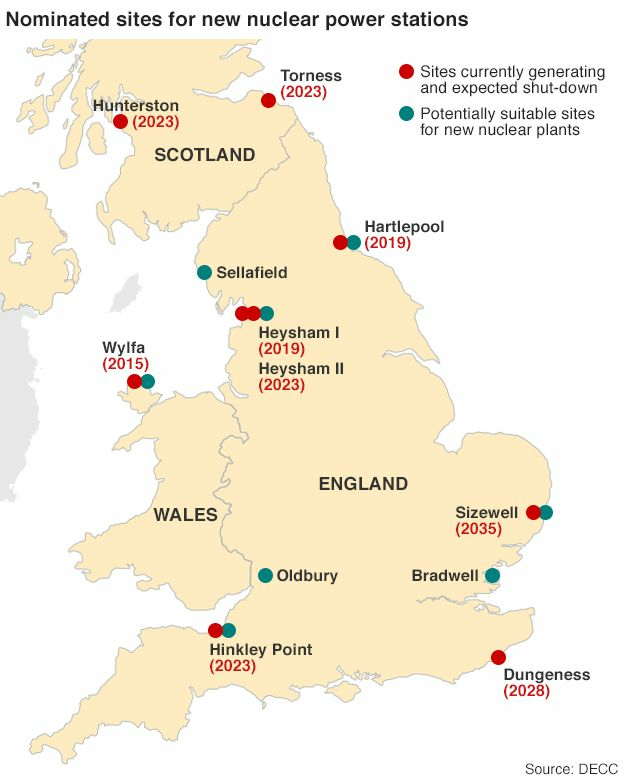 It is the single largest employer in the town, employing 1 per cent of the town's working age people..The plans are opposed by environmental groups such as Friends of the Earth and Stop New Nuclear.. The power station lies 1.65 mi (2.66 km) from the local resort of Seaton Carew. In ancient Aram, the constellation was known as Nephîlā′, the Nephilim may have been Orion's descendants. Aram is a region mentioned in the Bible located in present-day central Syria, including where the city of Aleppo (a.k.a. Halab) now stands..The etymology is uncertain. One standard explanation is an original meaning of "highlands". This has been interpreted to be in contrast with Canaan, or "lowlands"..Judeo-Christian tradition claims the name is derived from the biblical Aram, son of Shem, a grandson of Noah in the Bible.. The imagery of the belt and sword has found its way into popular western culture, for example in the form of the shoulder insignia of the 27th Infantry Division of the United States Army during both World Wars, probably owing to a pun on the name of the division's first commander, Major General John F. O'Ryan..
Last edited by lightgiver; 02-10-2015 at 07:44 PM.